Here you will find a members list, as well as instructions on how to join both the LSST SSSC and the UK SSSC. 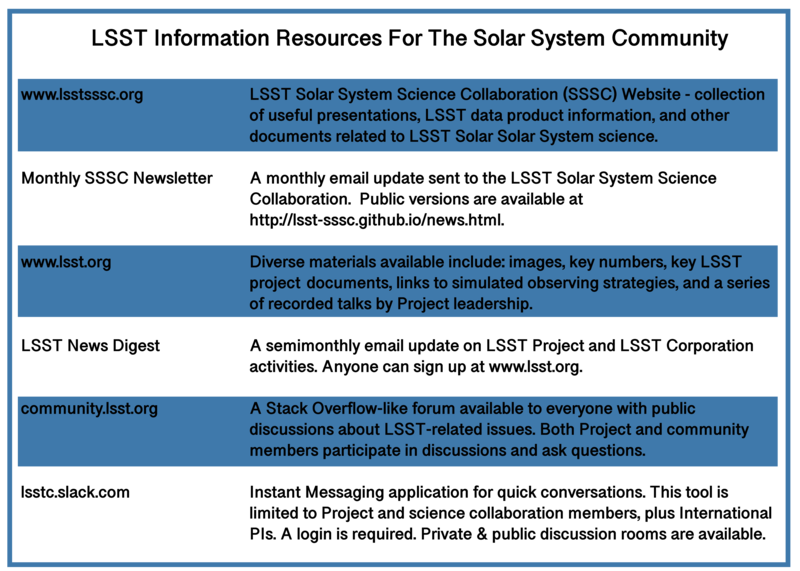 The LSST Solar System Science Collaboration (SSSC) accepts applications from astronomers and planetary scientists who have data access rights to LSST data (example 1: a scientist based in countries with LSST data rights (US or Chile); example 2: a scientist who is part of an institution or organization that has data access for their members (like LSST: UK)). Applications to become members of the LSST SSSC can be filled out on the membership application webpage. Applying to become a member is a short process, and the chairs of the SSSC will get back to you promptly. Our current guidelines on membership are focused on building community involvement. Members can be active or inactive; "active" members will be contributing toward the collaboration and will have voting rights, authorship rights on joint collaboration papers, etc. Additionally, all SSSC members are expected to abide by the SSSC Code of Conduct and the SSSC Charter. If you have any questions or concerns about the application process please contact Meg Schwamb and David Trilling (LSST SSSC co-chairs). For information on how to join the UK SSSC group, please contact the LSST:UK SSSC point of contact, Wesley Fraser. If you are already a member and you don't appear in the above list, please contact the SSSC co-chairs.